Stay up to date and contact us here!!! 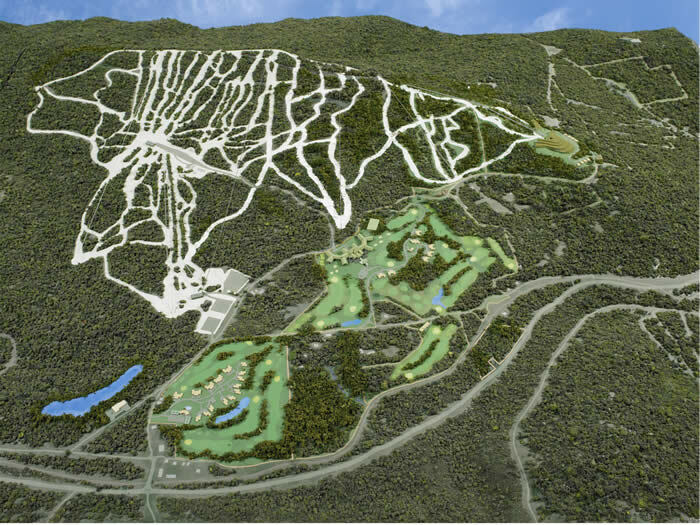 Crossroads Ventures, L.L.C., a New York State company, is developing a world-class, year-round resort facility on some 739 acres of privately-held land in the Catskill Park, a two hour drive from New York City, and adjacent to the State-owned Belleayre Ski Center. The ski center was built in the early 1950’s to stimulate economic development at a time when most of the region’s hotels were suffering from a downturn which began with the onset of the Great Depression. As it was, most of the hotels of that day were summertime venues - uninsulated and unheat­ed - and their hard-pressed operators had little capital with which to winterize and take advan­tage of the new 12 to 14 week winter season. Belleayre Mountain has remained, for most of its history, a drive-to, day-trip destination. Crossroads – responding to the series of studies conducted over almost forty years by the State of New York, the Regional Plan Association, New York City, the Towns of Middletown and Shandaken and the Catskills Planning Alliance – has undertaken to fulfill the unanimous rec­ommendations of those studies that, in order to prosper, the region must have a considerable new inventory of accommodations, built to modern standards, plus year-round activities, foremost among them golf. The Belleayre Resort project intends, as well, to become held up as an example of how efforts towards preserving natural resources can co-exist with a vibrant economy. The project’s main buildings will be built to LEED Silver or better standards. The Resort’s 18-hole championship golf course will be maintained with a strict organic regimen, meaning that no synthetic fertilizers or pesticides will be used. External lighting will make use of downward-directed lighting fixtures to minimize any impact on the night sky. Windows will be fitted with non-reflective glass to eliminate glare. 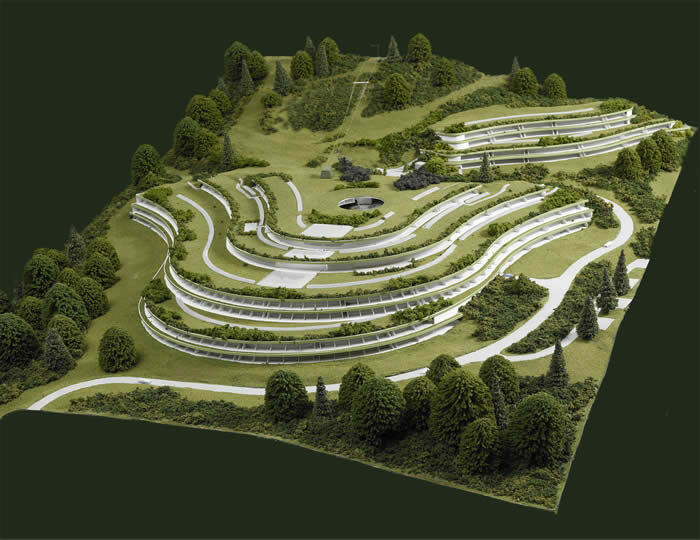 A host of water saving, energy saving and other programs will result in a a resort property that showcases the Catskill surroundings while respecting their fragility. to serve as the tourism focal point for the Catskill Park and Forest Preserve, includ­ing many of the picturesque small hamlets and villages in the region. to build upon, and strengthen, the Belleayre Mountain Ski Center, now under the operational management of the NY State Regional Olympic Authority. to be seen as an example of environmentally sensitive construction and operation practices that balances economic vitality with environmental stewardship. To take advantage of the broadest segments of the market, Crossroads has developed two complementary venues: the upscale, five-star Highmount Spa Resort and the four-star, family-friendly Wildacres Resort. 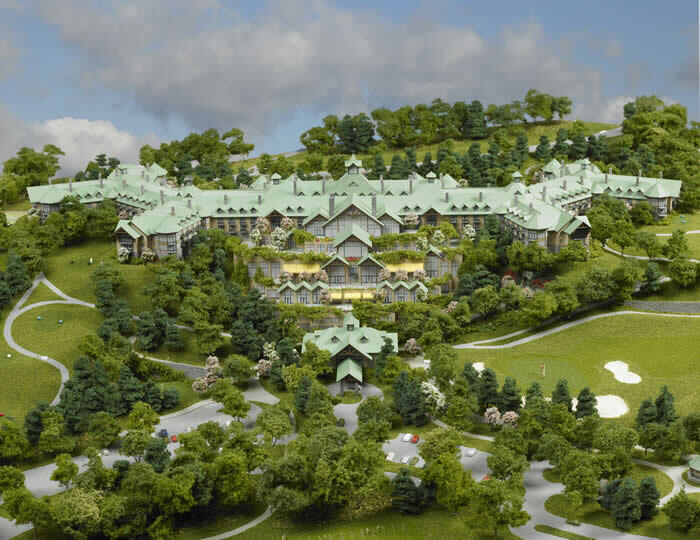 Belleayre Resort is a project of Crossroads Ventures LLC, and its founding members: Dean L. Gitter, Emily H. Fisher, Kenneth D. Pasternak, Richard B. Fisher and Anthony Sanfilippo. Mr. Gitter and Ms. Fisher are the same team who produced The Emerson Resort & Spa, a $28 million project that opened in 1996, and consists of luxury and family accommodations, spa services and facilities, fine dining, conference/meeting space, retail and attractions. The project is a prime example of adaptive re-use, having transformed old barns, Victorian home­steads and Adirondack-style lodges into top-of-the-line, world-class facilities. Belleayre Resort will be good for the environment, good for the community and good for the economy. Show your support today by letting your representatives know that you believe in the value of the Belleayre Resort project.